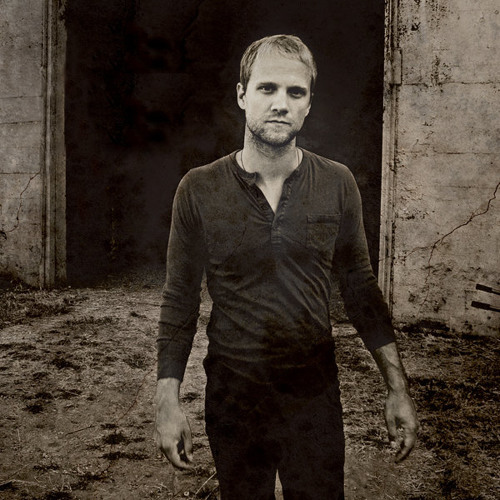 To call Andrew Ripp a singer/songwriter is to leave something deep out of the equation. It’s true. He sings. And when he sings, something catches in your chest and you wonder why your heart is reacting to what is coming in your ears. It’s true. He’s a songwriter. He intricately weaves words into stories that have somehow aged and ripened and are sweet to ingest. But there is more. Maybe it has to do with the rock-infused tones that are ever present. Maybe it is more soulful than pop, or maybe it is more pop than soul? Or is it rock with some soul and a hint of pop with the songwriting of a well-lived life? Whatever you call it, Andrew has it. A native of Chicago, Illinois, Andrew began this musical journey with simply a voice, a guitar, and an awkward fifteen-year-old view of the world. As he grew and matured, so did his music. Moving out to Los Angeles in 2003, doors soon opened for Ripp to record and work with rock producer Bob Marlette and write for pop star Ryan Cabrera. Ripp’s debut album Fifty Miles to Chicago, which he co-wrote and co-produced, released in 2008 to many-a-round of applause. Compared to the likes of Ray Lamontagne, Maroon 5, and Jason Mraz, Andrew toured the country, performing songs from this album, and won fans quickly with his pure tones, strong lyrics, and that other thing that we have yet to define but definitely contributes to his awesome. With the release of his sophomore album She Remains the Same, Andrew is seeing the world in a new way. Nashville, Tennessee is his current address, and with a maturing faith, this album speaks to the new place where he is- both physically and spiritually. It’s about truth. It’s about faith. It’s about life and living it well. Produced by Dave Barnes, this record peels back another layer of Andrew’s talent while giving the audience a unique sound experience. Meant to be an album full of life, you can’t listen and not be warmed by the sounds. Listeners of this album will immediately want more. And luckily, according to Andrew, this story is still unfolding. Which can only mean (fingers crossed) that he will continue to write, sing, and create sounds that change the atmosphere. According to his fans? That is music to their ears.